In my last post I introduced you to the Stages of Change Model and shared strategies for preparing to create effective change — Stage 3. If you haven’t read that post yet, take a few minutes to read it, and then come back here. When you have prepared enough, which will look different for everyone, you are ready to put your plans into action — Stage 4. And this time of action can be exciting and hopeful, as well as frustrating. Frustrating because you will almost certainly encounter bumps in the road — bumps you may or may not have been able to anticipate. Seeing your journey as a series of experiments and being willing to approach these experiments as a beginner will help you persist in spite of the inevitable setbacks along the way. And then, when you reach a place that feels good enough, you will be ready to put a maintenance plan into place — Stage 5. Yes, preparation is key to creating effective change. And, sure, you want to try to minimize the chances of taking a big fall. Yet, it is also possible to do too much planning. How much is too much? I’m not really sure. 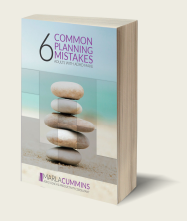 But, if you are continuing to plan because you are trying to avoid any and all missteps, it is probably time to stop planning and start trying out some of your ideas — experimenting. Having an experimental mindset, however, doesn’t mean you need to jump in blindly. Instead, give your experiment some parameters and have a plan to address any setbacks as they arise. You can see how Benji did this in the case below. When Benji decided to leave the law firm where he had worked for 6 years and start his own practice he made sure he had both a sufficient client base to cover his essential business and living expenses and a solid marketing plan to bring in new clients. – What if the person didn’t work out? – What if it took too much time and energy to supervise them? – What if he didn’t bring in enough business to be able to pay them and cover all his expenses? – an employment agreement with a 90 day trial period. – a complete list of the support he needed so he could find someone with the requisite skills. – the expectation he would need to take time out of each day at least for the first few weeks to check in with the person to make sure they were on track. – weekly 1-1 supervisory meetings. With this plan in place Benji was comfortable hiring someone, at least on a trial basis. Like Benji, your plan to experiment can include a process to evaluate along the way. According to psychologist Noel Burch’s Four Stages of Learning Model, as you experiment and learn new skills to manage your ADHD, you will progress from incompetence to competence. In this first stage, not only do you not know how to do something, but you also don’t even know you need the skill in order to manage your ADHD well. That is, you don’t know what you don’t know. A good example is the process of the Weekly Review. When I first introduce it to new clients, not only do they often not know how to do it, but they very often don’t realize how important it is to do this upfront thinking once a week in order to successfully reach their goals. So, the first step is to recognize what you need to learn. In this second stage you know what you don’t know. And it can be an overwhelming time as you begin to realize how much you need to learn. You may even think, “I should know this stuff already! !” But you don’t. You can decide to avoid learning a new skill because the discomfort is too great. Alternatively, you can decide you are willing to be uncomfortable and make mistakes in order to take action to address your ADHD challenges. When you start to experiment during this stage of Conscious Competence, though you know what you need to learn and how to do it, you will still need to work hard to execute. And you will almost certainly still feel uncomfortable at times. But, if you decide, instead of giving up, to give into the process, you will began to achieve mastery in the skill areas you need to manage your ADHD. These successes will motivate you to keep trying. For some time, as you learn to manage your ADHD, you will move back and forth between Conscious Incompetence and Conscious Competence. In time you will be habitually using certain skills to manage your ADHD and it will not feel so hard. Like driving a car, you will not even be aware of the steps you are taking in the moment. You will put the key in the ignition — start — and before you know it you will arrive at your destination — execute. When you get to this stage you are more often than not on autopilot. put appointments in your calendar each and every time. pause before speaking when you are upset. choose your top 2-3 priorities each day. organize your launching pad every night. Sure, it took a long time for this client to get to that point. But he had achieved Unconscious Competence. And you can, too. But you’re not done, right? Because, as you know, you still have to work on maintaining this change so you don’t backslide, especially when you are tempted to revert to your old ways when your new habits don’t work out perfectly. What strategies am I using that are working? What strategies are not working as well as I would like? Do I need to tweak them or change them altogether? If my plan is not working, what is possible? Do I need help from a friend, family member, colleague or professional? What else do you do to maintain your progress? Where do you need to give yourself permission to stop planning and start taking action by experimenting? Where have you gone off the rails a bit and need to work on maintaining a skill that works well for you most of the time?